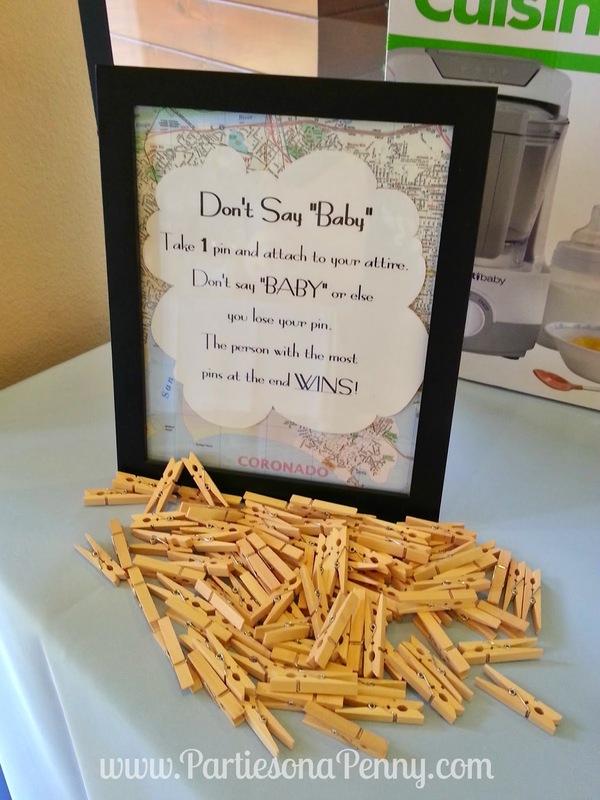 When my dear friends Stephanie and Jordan shared that they were expecting, I immediately volunteered to host their shower. 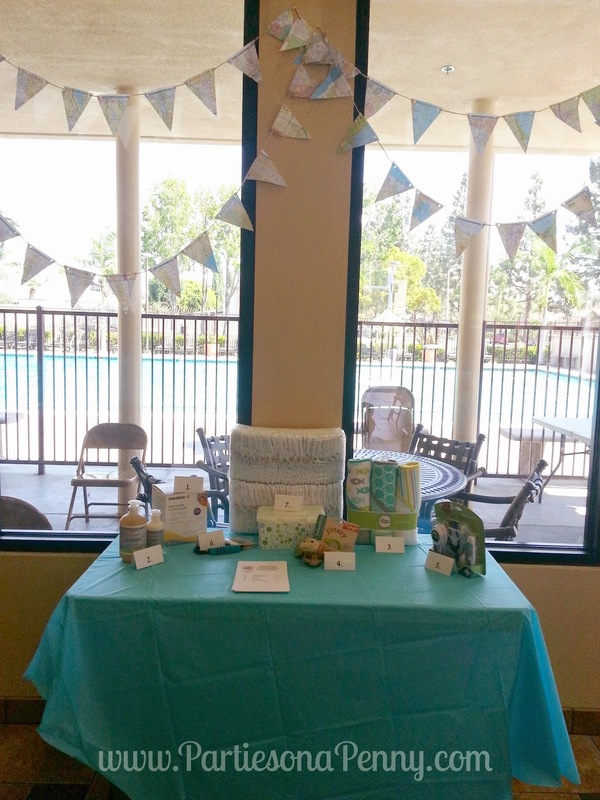 Stephanie and I brainstormed on possible themes for their shower and used a Pinterest board to share ideas. 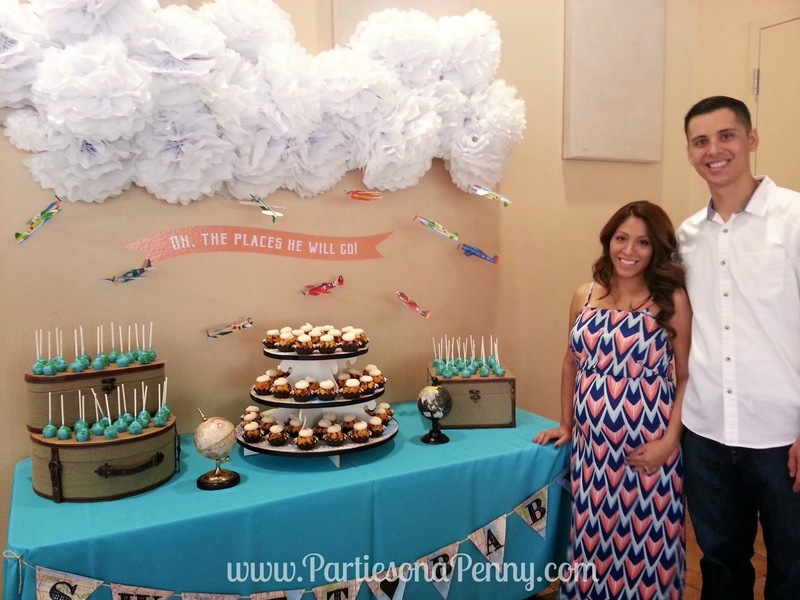 Eventually, we came up with a travel theme for their baby boy's shower. We all were beyond thrilled at how everything turned as it was exactly what we had envisioned. 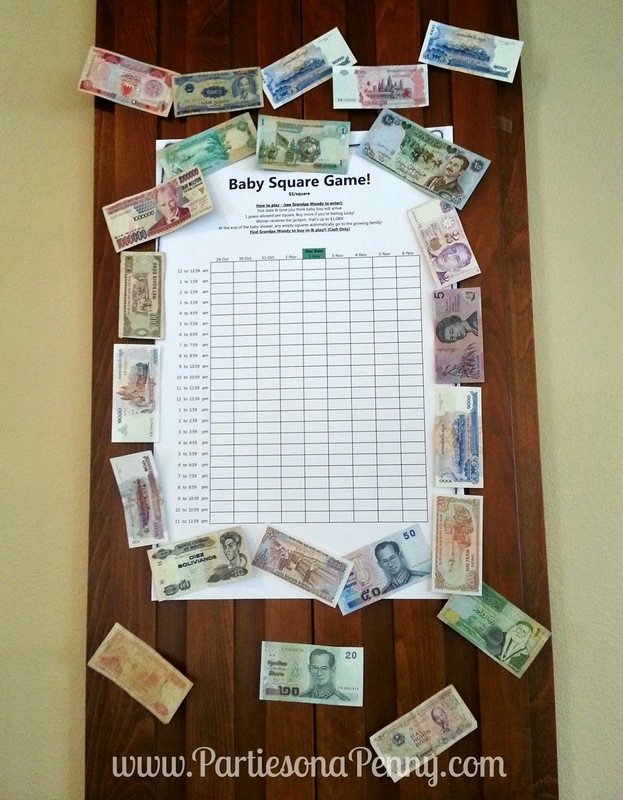 Stephanie and Jordan decided to have a co-ed baby shower with 70 people. 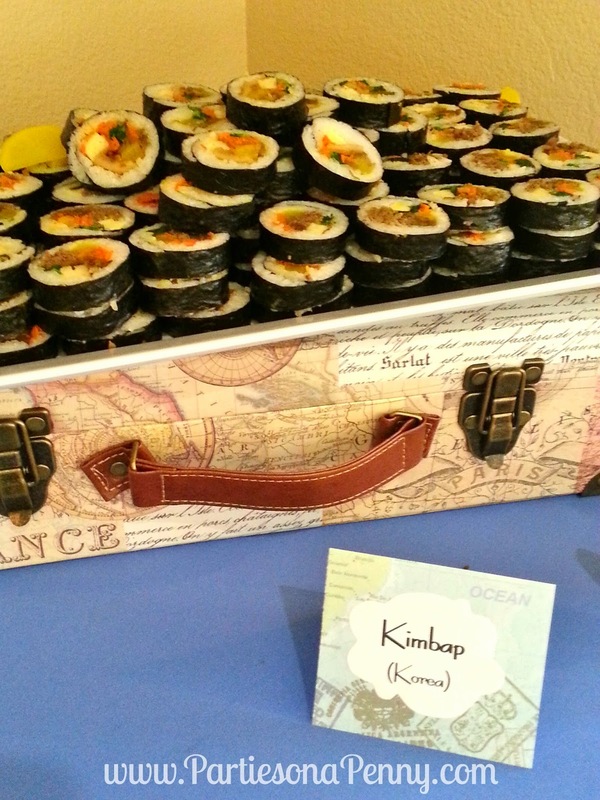 With such a large headcount, it was definitely a challenge to keep decorations, activities and food on a tight budget. 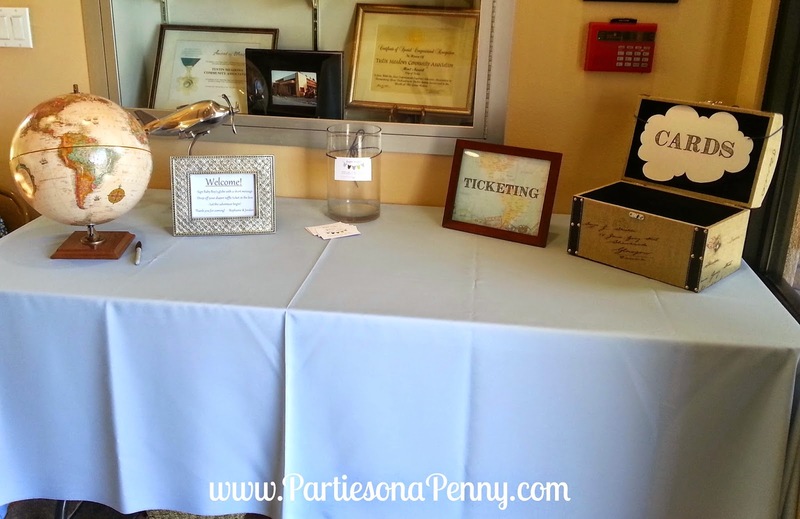 I am excited to share with you how we were able to keep this shower on budget even with a large number of attendees. 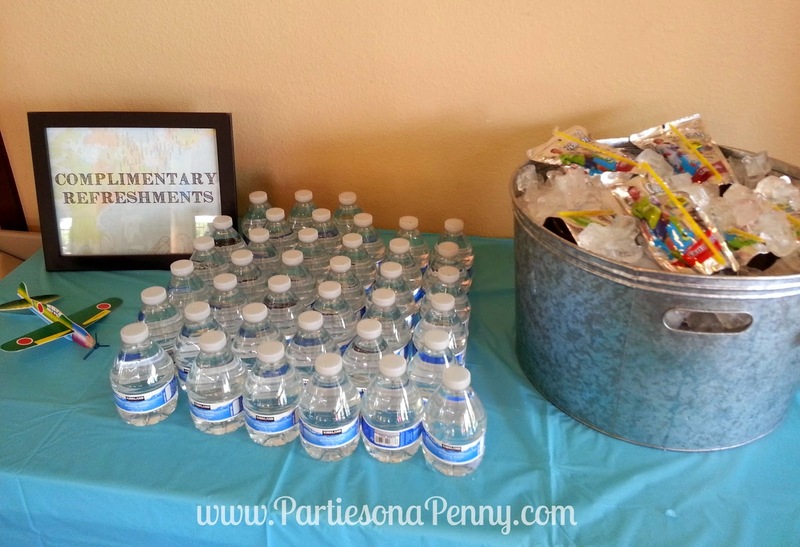 The shower was hosted at a community center. 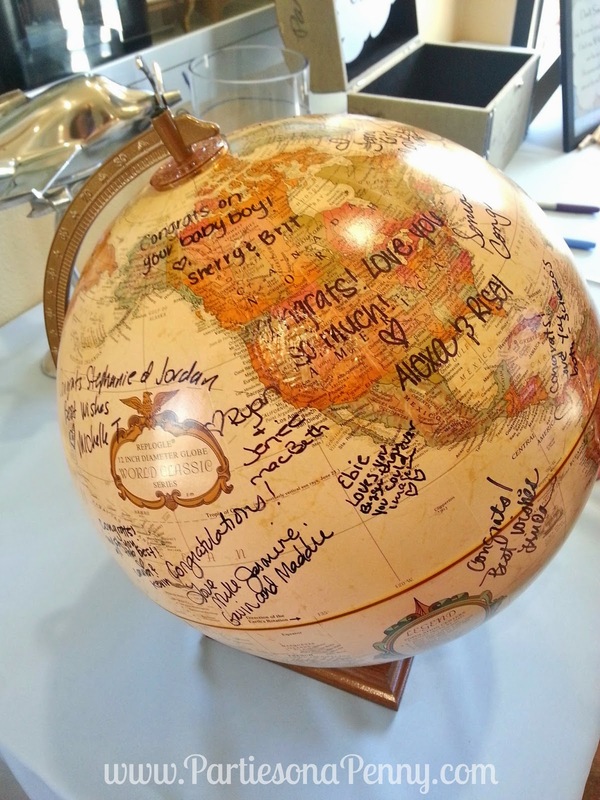 Instead of a guest book, the parents-to-be had guest sign their globe book which they will be displaying in the baby room. To go along with the travel theme, we used a lot of travel maps which we were able to get for FREE at AAA. 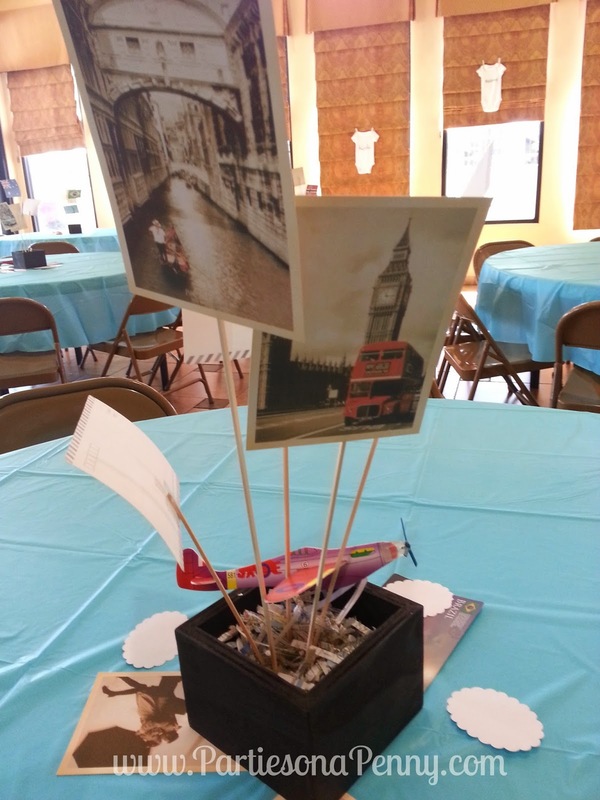 We used these maps for all the garlands and signage which were all created by hand. 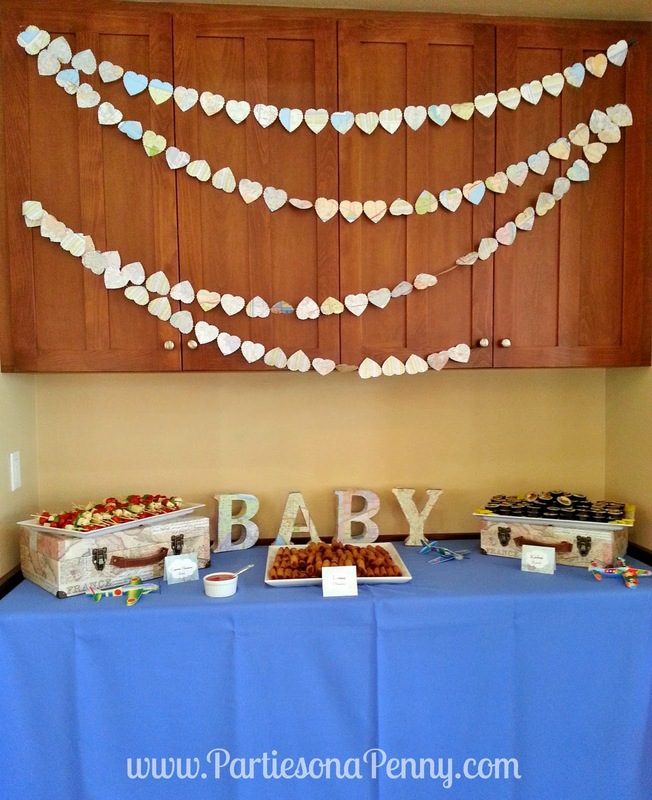 This garland was created by using a heart shaped punch out and sewing the cut outs to create one long garland. Here is a video tutorial we used to string the garland using a sewing machine (we did not double up on the punch out as seen in the video). 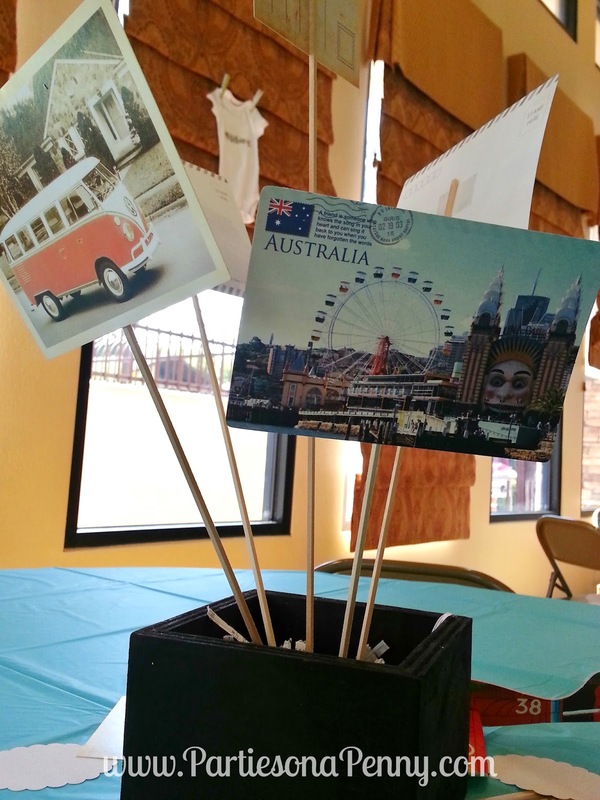 For the table centerpieces, we used postcards (32 of them for $6 here) from different destinations and taped them onto wooden skewers which we pushed into wooden boxes ($2/ea from a local design warehouse) with styrofoam. 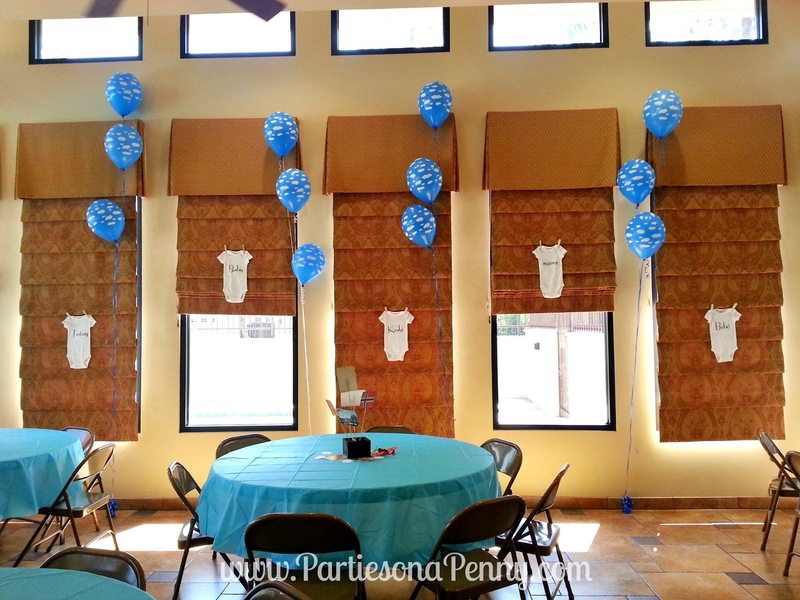 To dress up this side of the room, we used these cloud balloons ($5 for 6 balloons) which I absolutely loved and thought they worked perfectly with the theme! We also hung baby onesies with the word "baby" translated in different languages which were ironed on the onesies using transfer paper which you can find here. 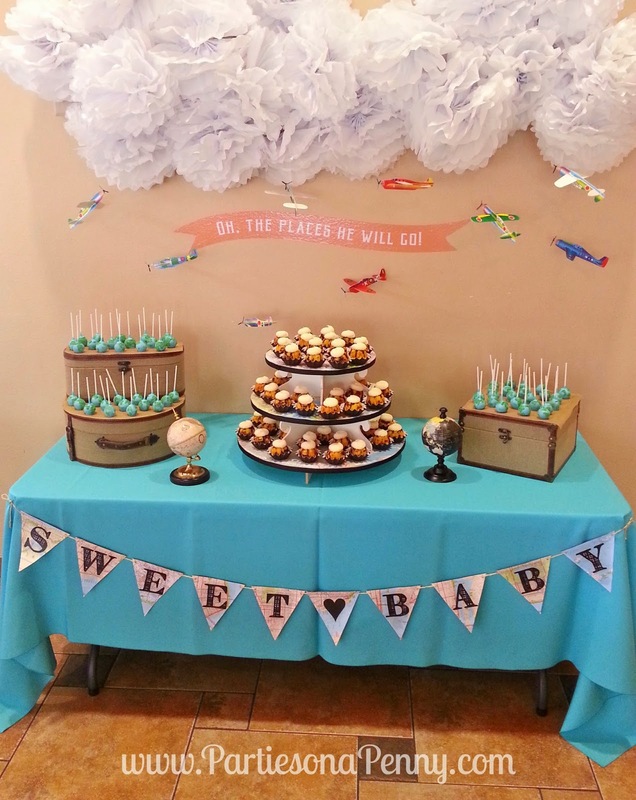 For the decorations for the dessert table, we assembled tissue paper pom poms (how to video here) to resemble clouds and then hung foam airplanes (found here) using fishing line. I printed the sticker banner which is an image from the shower invitation at a local printer. 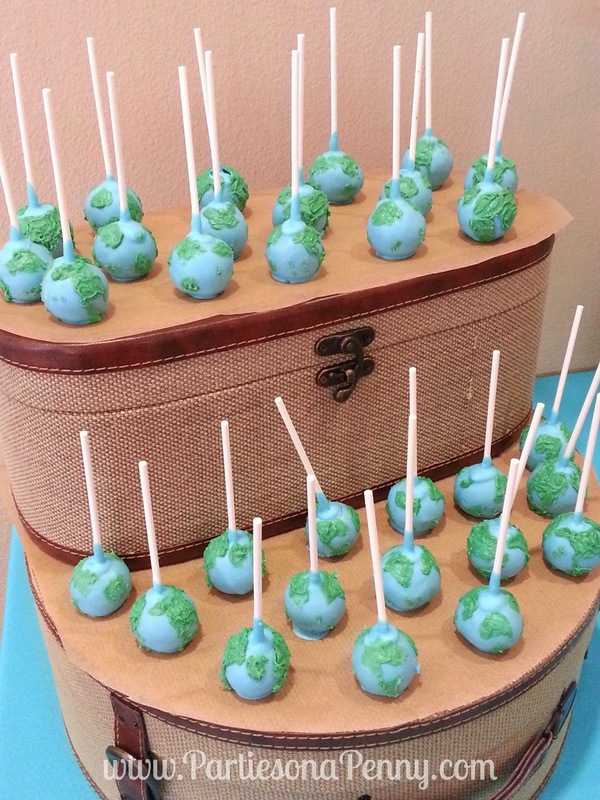 The globes and suitcases were borrowed from friends and family. For catering, we used a local taco cart man to serve lunch. 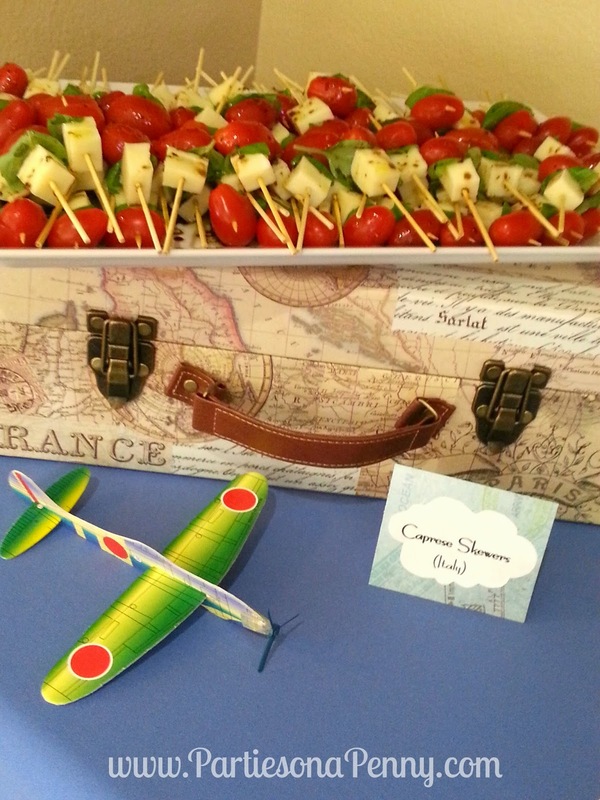 To bring in the travel theme with the food, we had friends and family create international appetizers. 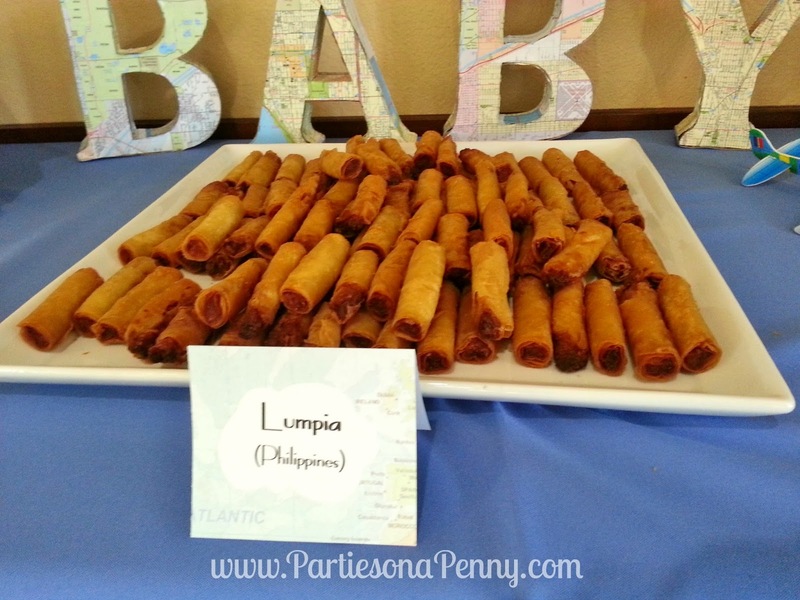 Caprese skewers from Italy, Kimbap from Korea and Lumpia from the Philippines. 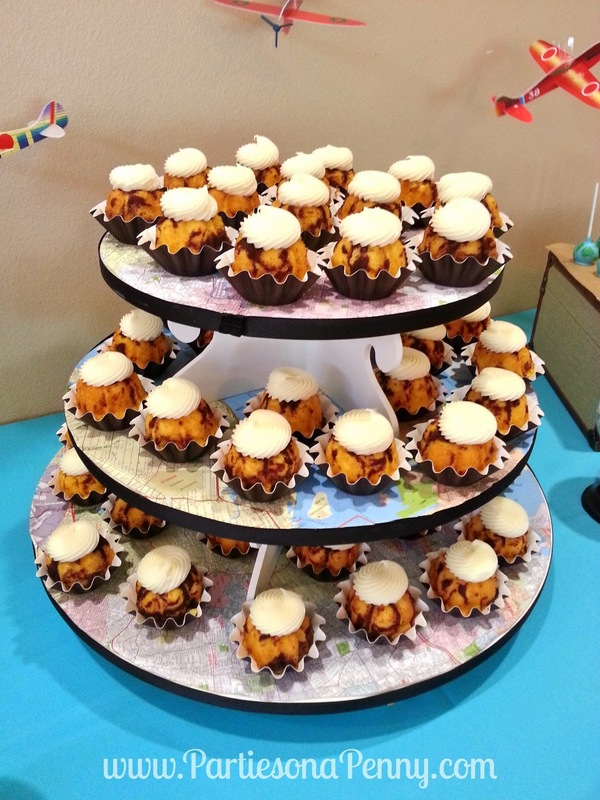 For desserts, we outsourced to local bakeries to create the globe cake pops and mini bundt cakes. There was no way I was going to try and bake these. 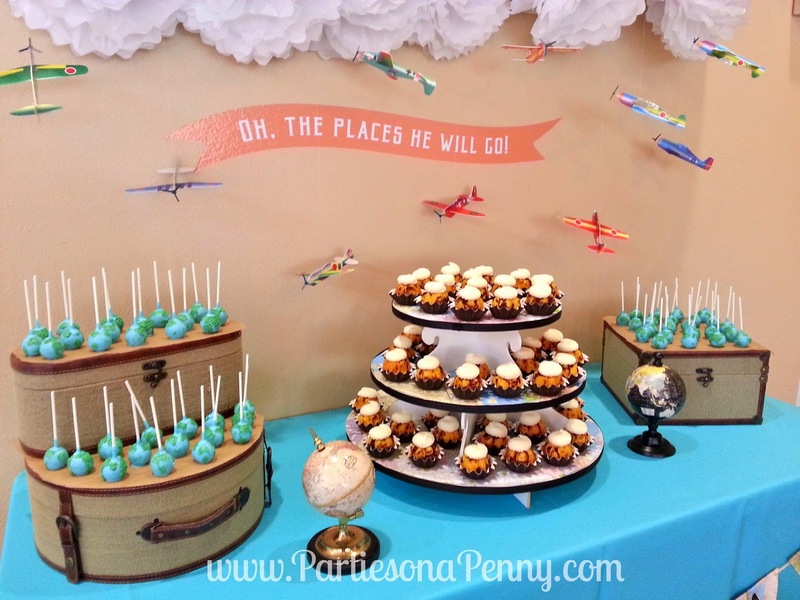 The cupcake tower was lined with the maps to bring out the travel theme. 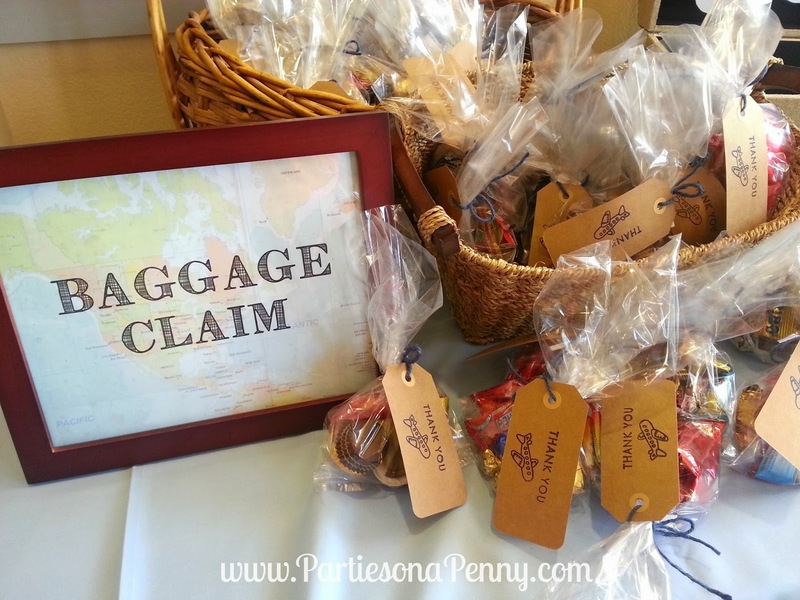 The "Baggage Claim" area was where the favors were displayed. Each guest went home with a bag full of international candy. (World Market is a great place to find these international sweets).